IRPinball had to move it's guestbook, we haven't had any control over the old one for a long time, it will be deleted soon. The problem is, nobody @ IRP was ever notified that there was a new post and there was an option to make the post a private message, the old site would allow the pm message to be sent but we couldn't read them. You can do that here by clicking on my username if you Register. It's suggested that you Register at Pinball Nirvana before you post, it's free and many new features will be available to you, including notification of responses to any new post that you make. 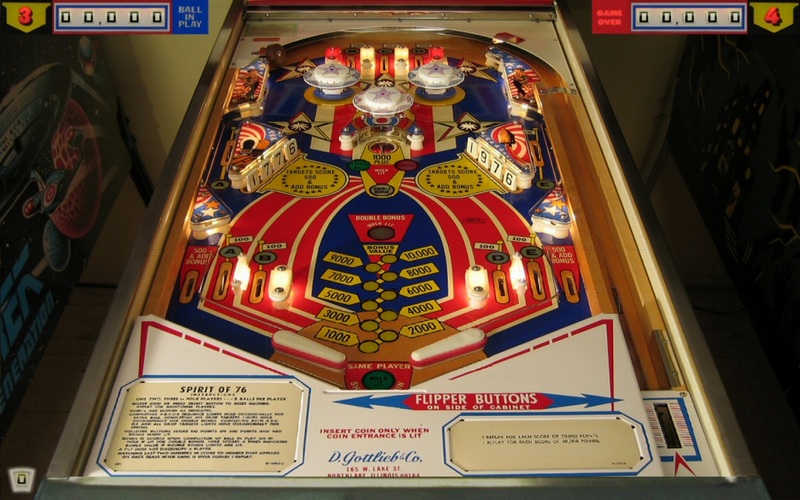 What is your favorite Visual Pinball Table(s)? What is your favorite Pinball Machine? Last edited by JonPurpleHaze; 01-29-2012 at 10:26 PM. There's a lot of VP History at IRPinball! It is quite nice to see all these tables there and wonder how such recreations were made back in the day, and most of the tables under 1 MB! Awesome! Here is an extremely well made table by user Gottlieb, which is a recreation of Gottlieb's Spirit of '76 table. It is very photoreal! The look and feel of it make me think I'm playing the real machine in someone's garage or something! and these are all smaller pins like around 5 megs or less! but boy are there some great pins sitting on that site! I swear each time I go there I find pins I missed on earlier visits!